Starting in 2001, the members of Base Ball Bear met at a school festival, and after performing together, decided to form an official band. The original line-up has remained the same through the years: the leader and main songwriter Yusuke Koide (vocals, guitar), his friend Shohei Yuasa (guitar), Shiori Sekine(bass) who is the only girl in the band, and Daisuke Horinouchi (drums). At the beginning of their career the band’s name was Planet and they played covers of Supercar’s songs. In 2002 they started sending demo records to various companies. Toshiba EMI advised them to change the band name, so they randomly chose “Base Ball,” but Yuasa decided that the name would sound more pleasant if they add one more word, and the band became Base Ball Bear. The first live of the newborn band was held at Shimokitazawa Garage in July. In November 2003 they signed with indie label Blitz Pia Records and released their debut mini-album Yugata Generation, which was followed by the single Yume is Vision next spring. The rest of the year, the band spent in the studio recording new material. Their first full-length album, High Color Times, was released on March 16, 2005. Base Ball Bear’s popularity gradually grew with more and more people attending their shows. In addition, Shiori Sekine made her acting debut in the movie “Linda Linda Linda.” The soundtrack of the film included several of the band’s songs. Fall of 2005 saw the release of their second album Band B ni Tsuite. A few months later, they signed a contract with EMI Music Japan and the album was reissued. The new version included a new song and several old tracks with new arrangements. During that summer, Base Ball Bear toured together with Chatmonchy and Snowkel. In the end of October, their first major album was released. The first one-man tour Live by the C set off in Spring 2007. 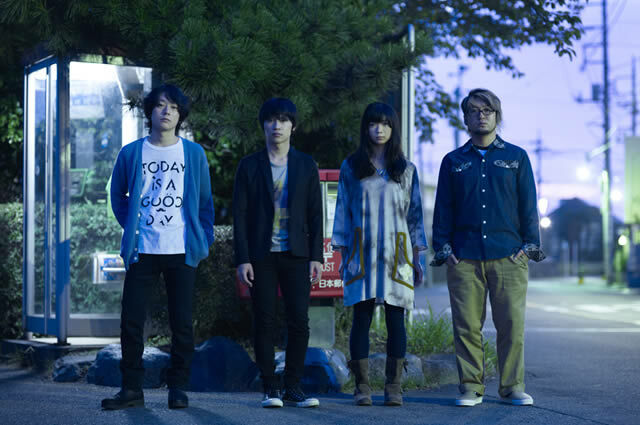 The band also released a bunch of singles and second major album, Junanasai. They concentrated not only on studio work but also participated in a number of festivals: Rock in Japan Festival, B-Pop High School Tour and Nannyo Summer Tour. On March 12, 2008, Base Ball Bear released their first DVD with music videos. The first single of 2008, Changes, was used as an ending theme for the anime series “Toshokan Senso.”. The end of September was marked by their first performance at the famous Shibuya C.C. Lemon Hall. 2009 was an extremely busy year for the band as they released three singles and two maxi-singles. Their third full-length album, (WHAT IS THE) LOVE & POP?, appeared on September 2, 2009 and was met with great success – Base Ball Bear held their first show at Nippon Budokan soon after.